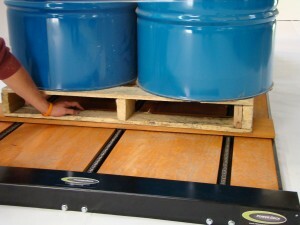 By eliminating the need to push and pull pallets, the incidents of product damage will decrease dramatically. What is that worth to your company? In two simple steps, we can project for you just how quickly our pallet handler can both pay for itself and start making you money. Step 2: Take a few minutes to run the numbers on the worksheet and see just how fast the savings from the PowerDeck can add up! Note: We suggest you use conservative estimates on the form. Multiple PowerDeck users have told us that their customers not only like the PowerDeck, but they come back because of the PowerDeck. They know that their cargo is being cared for and will be treated properly throughout the shipping process. The question isn’t “can you afford the PowerDeck.” Instead, most cargo van owners need to ask themselves “can they afford NOT to buy a PowerDeck.” We would like to help you and your van logistics company get a better idea of how the PowerDeck can impact your individual business today! Click the links below to request a quote and get connected to dealers in your area.